Student representatives, YoonHan Kim (right) and JaeYeon Ban (left), delievering the Oath of Freshmen. Welcoming the incoming freshmen and new transfers into the UNIST community. 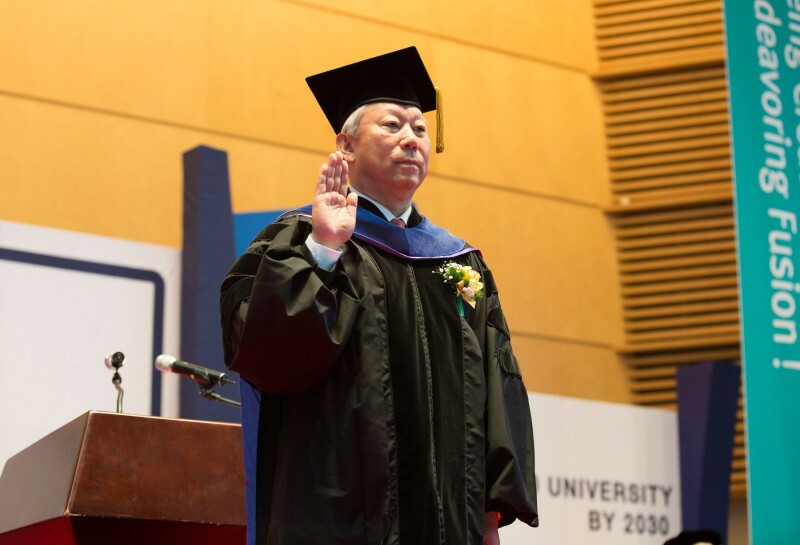 On February 21, UNIST held the matriculation ceremony of about 360 students admitted into the UNIST student community. 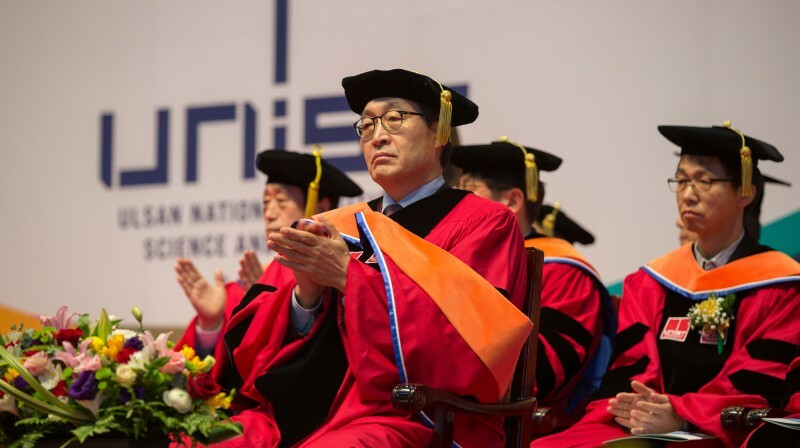 The ceremony featured the awarding of newly-admitted students with outstanding entrance scores, followed by greetings and remarks by President Mooyoung Jung and other distinguished guests. 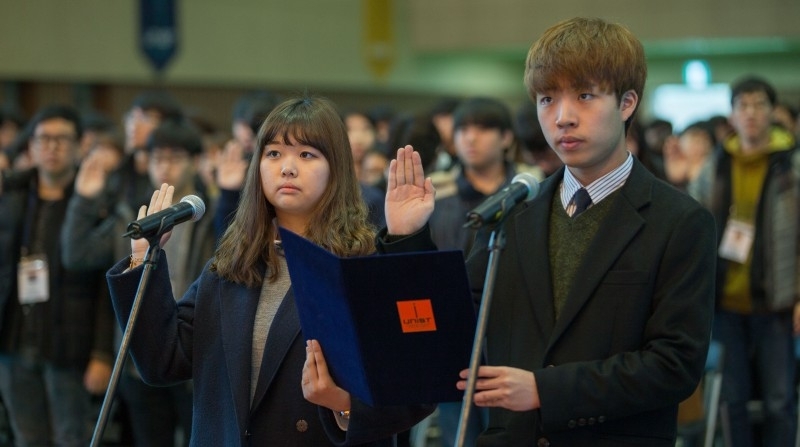 The Oath of Freshmen was also delivered by student representatives, YoonHan Kim (Gyeonggi Science High School) and JaeYeon Ban (Jinhae Yongwon High School) on behalf of the incoming freshmen for 2017. 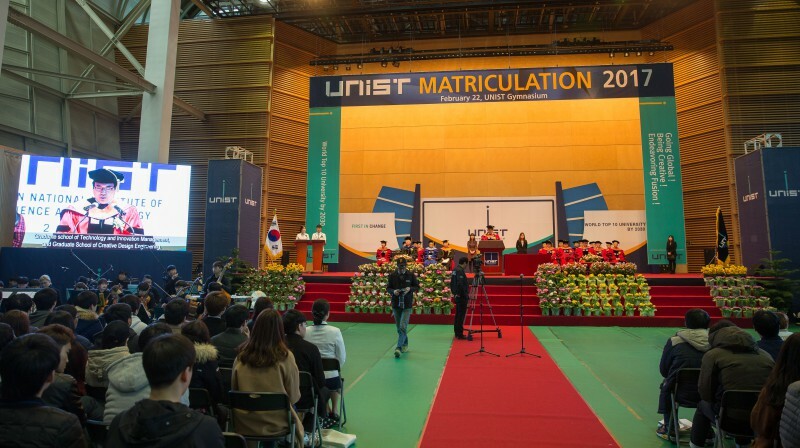 2017 Matriculation Ceremony, held in UNIST Gynasium to welcome new students to campus. The ceremony was followed by the presentation of scholarship certificates to the students with outstanding entrance scores. JaeYeon Ban received this “Uni-Star Scholarship” on behalf of this year’s award recipients. 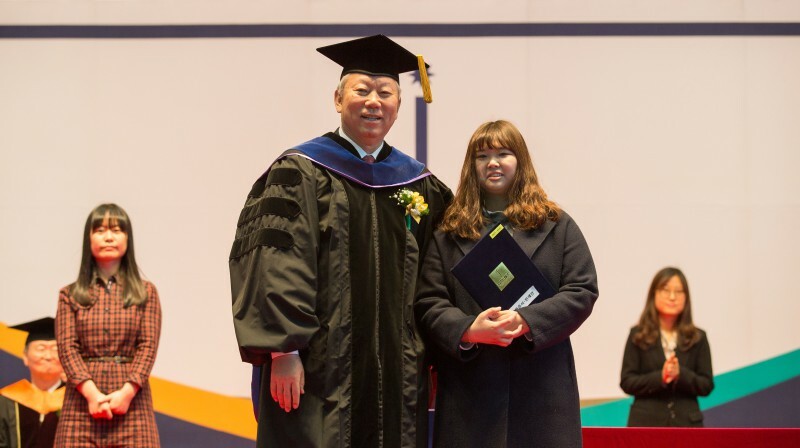 JaeYeon Ban (Jinhae Yongwon High School) received this “Uni-Star Scholarship” on behalf of the incoming freshmen. Following the ceremony, the newly-admitted students of undergraduate and graduate programs will attend the 2017 New Student Orientation program until Friday, February 24, 2017. This program is to help the incoming students adjust to life on campus and features welcome activities, community building exercises, and presentations on student success and campus safety.